After countless evenings working in the Weatherford garage, it began to take shape. From wooden slats placed on the floor and spray painted to wooden wheels on a track, the machine started to become a reality. Of course, one can never predict the weather for Halloween and this proved a bit challenging with a forecast of rain- all day and all evening. On a positive note, a balmy 65 degrees was also in the plan. In the afternoon, Jane was able to spend time with Cameron at school and join the all-school Halloween parade led by the school's principal! 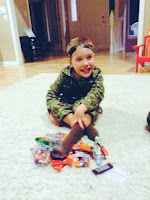 Cam was dressed as a soldier and since his CamTank was a bit too large to fit through the school doors, only his actual costume was a part of the parade. 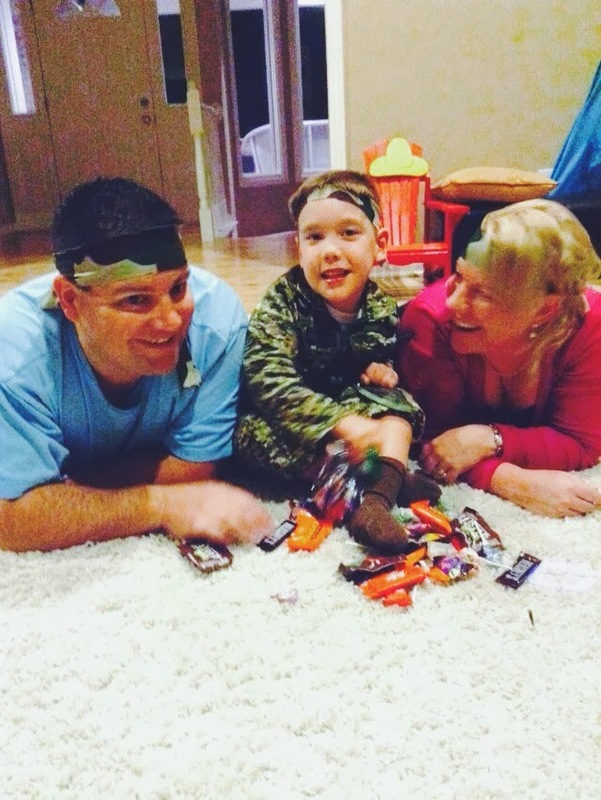 Trick-or-treating on the Windcrest street was the highlight of Cam's day. Finally, he was able to show off and drive the CamTank! Because the tank was so large, Jane & Chris wondered if Cam would still enjoy driving it. 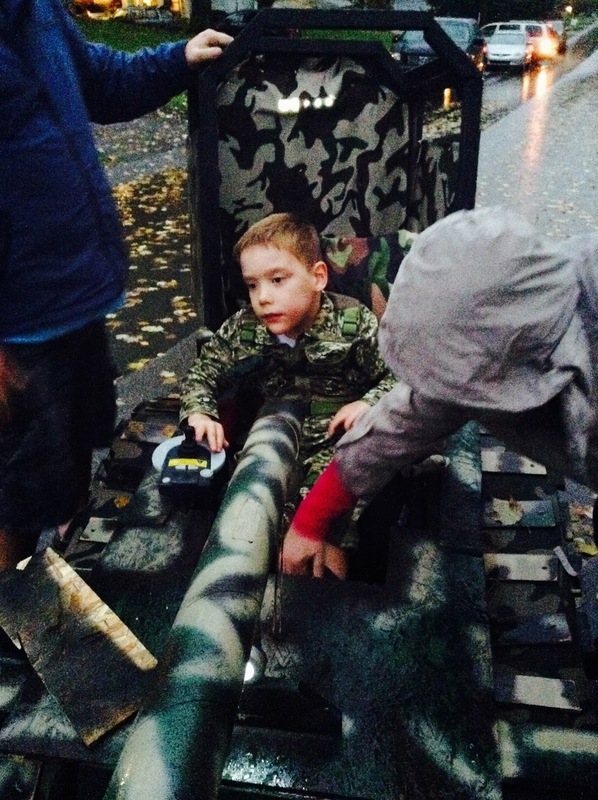 It was a bit jerky, but the soldier battled through the wet terrain and mastered his tank maneuvers. 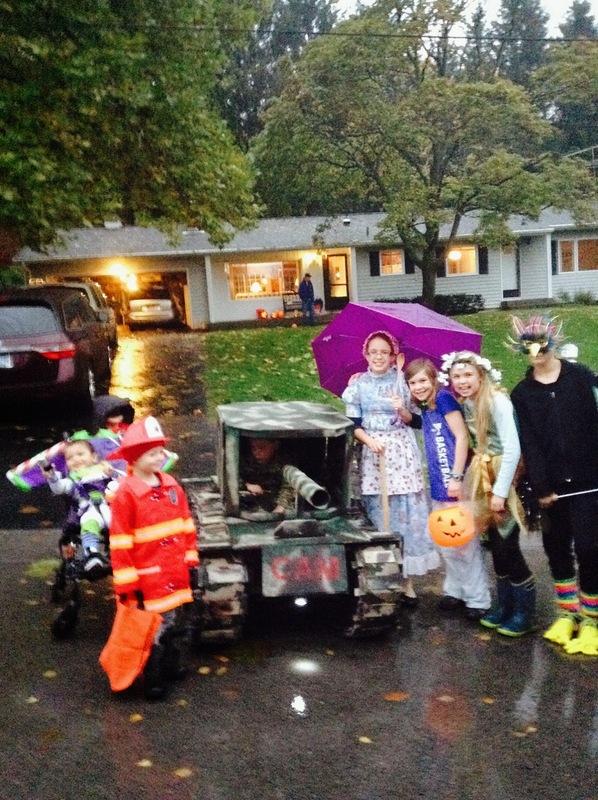 Although it was a very wet evening, all of the kids and adults had a great time! 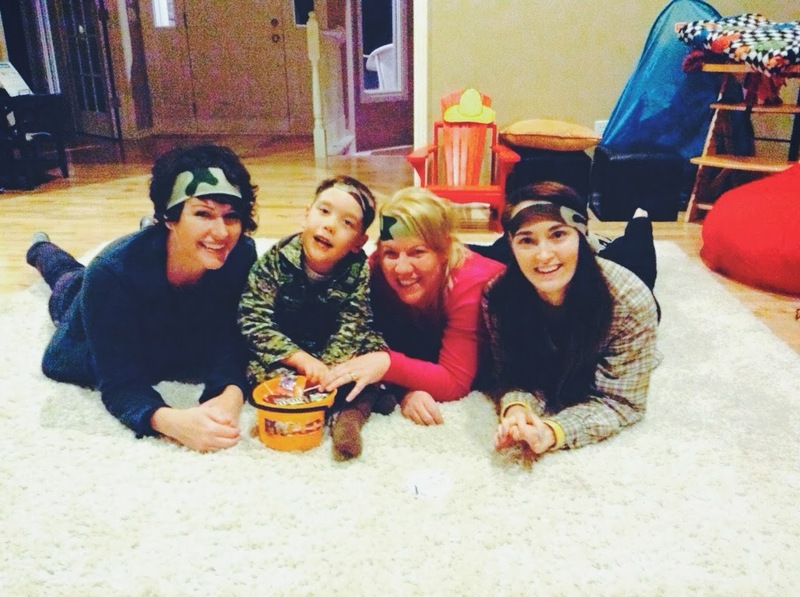 A big thanks to "Auntie" Roe and her niece Rachel for being a part of Cam's platoon with us. Once again, Chris has designed and engineered an idea from scratch and made it come to life with Cam's expert assistance. 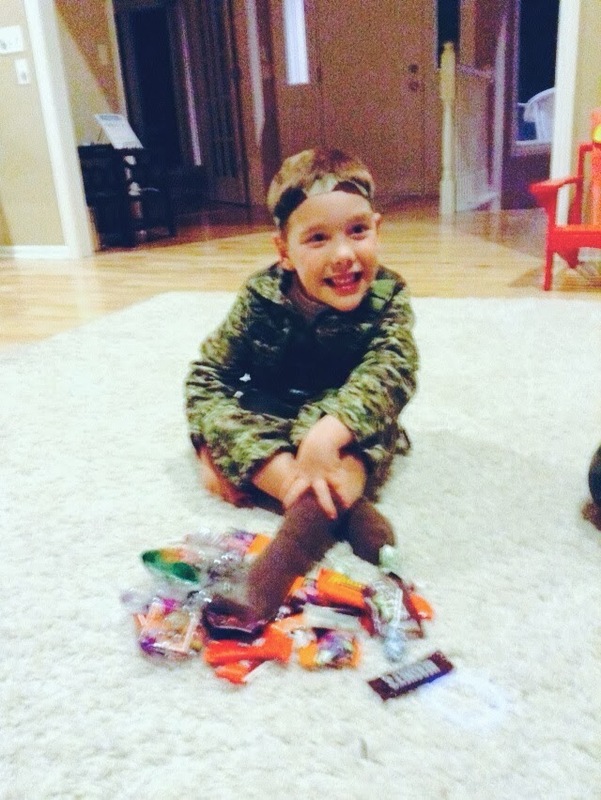 Hope your Halloween was filled with lots of goodies, giggles, and grins!